Here are the results of the 2011 Top Contact Centre Technology Awards. Here are our most recent award winners. 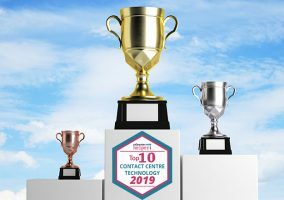 Well, you voted in your masses and we have now compiled the results of what you, our readers, feel is the Top 25 Contact Centre Technology based on the number of votes received. Thanks to the 374 people who voted. It makes these the most impartial of all the contact centre technology awards. Brief overview of product: CONTACT is cloud-based call centre software – for adding text messaging, email, web chat, Twitter and fax capability to contact centres. CONTACT complements traditional voice communications with skills-based routing and detailed reporting. It is a web-based, hosted Software as a Service application that sits alongside your customer management systems. CONTACT makes it easy for staff to maintain or switch between communications in non-voice channels such as SMS, Twitter and email, reducing operational costs and call handling times. CONTACT offers a truly seamless multichannel customer service experience combining email, SMS, Live Chat, fax, social media, campaign management, voice integration and CRM in one blended, easy-to-use environment. The CONTACT automation module allows in and outbound communication to be processed without staff intervention. The capability to build databases through automated opt-in processes and to automatically generate mailing lists, set up template messages and populate these automatically gives you huge scope for building customer relationships through outbound communications and marketing activities. The flexible ‘Pay as You Go’ pricing model makes it easy for a business to start low and scale as their business requires with clear return on investment in year one. Release details: Released in Australasia in 2004 and in UK in 2006. Current version: 4.0. Typical price for a 100 agent solution: SaaS Fees Approx £50K per annum (depending on number of channels required). Brief overview of product: Hosted campaign creation, management and reporting tool with full contact history, integrated with an e-Learning management system, to train and test agents. Release details: Currently on BER6 (Business Express Release 6), originally released as a hosted solution in 2008. Approx. number of UK/Irish customers using the product: 30 with 4,000 end users at present. Brief overview of product: iTMS is a hosted solution developed to address the specific requirements of telemarketing and inside sales. iTMS combines Telemarketing, CRM and advanced email marketing within one integrated environment. Capable of operating with between 1 and 100+ users iTMS allows high volume calling to be carried out effectively and efficiently. Designed with usability as central to the entire system, iTMS requires minimal technical knowledge. The calling process can be as simple or as complex as required using either a scripted or non-scripted approach. Completing a call in iTMS can be done in as little as 2 clicks. iTMS has advanced bulk email marketing that allows real-time tracking and integration not seen in other CRM systems. This includes updating customer records and email click notifications. iTMS has specific functionality for appointment setting. As well as the internal calendar, iTMS can update GoogleCalendar, and also MS Outlook, Blackberry and other calendars. Typical customers: iTMS is used in many industry sectors, including Telemarketing, Fund Raising, Subscription Sales, Product Sales, Membership Management, Leasing, Cleaning Services and other sectors where efficient and effective calling is required. A typical customer ranges from a single user to clients with 100+ users. Typical price for a 100 agent solution: iTMS is priced on a monthly cost per concurrent user model at £45 per user. Monthly cost includes hosting, set-up, email and telephone support. No minimum term. Return on investment is typically 2 days. Brief overview of product: Cention Contact Centre gives you a powerful workflow system which enables all your queries, no matter what digital channel, to be routed to the right operator or group and responded to according to the SLA level. Our reports and follow-up component will show you your performance in real time. Automate parts of your workflow to provide answers for operators to just verify and send with a single keyboard stroke. As companions to Workflow, there are tools for self-service like the QuickAsk search engine, which helps your clients to find answers online. Follow up the Workflow with Outbound campaigns. Use our Exports feature to extract a set of clients that have corresponded on certain criteria, make personalised send-outs to them using Outbound. Communicating over online media such as email, Chat and SMS has put new demands on contact centres. To maintain efficiency and quality, new tools and processes need to be implemented. Cention does this in a unique way that enables contact centres to handle the digital communication swiftly and easily. Typical customers: Mid- and large customer support organisations and call/contact centres. Typical price for a 100 agent solution: Cention Contact Centre is priced on usage not on agents, i.e. the amount of errands handled. The solution starts at £959 per month including 5,000 errands. Brief overview of product: Workforce management solution ‘in the cloud’. injixo WFM is powered by InVision, a tier-one developer of sophisticated WFM solutions since 1995. With injixo WFM, InVision is unique in offering a sophisticated and proven WFM solution in a true ‘multi-tenant’ Software-as-a-Service (SaaS) model. injixo WFM is LOW COST: The true SaaS model enables InVision to offer the solution for a sustainably low price. injixo WFM saves money in other ways – there is no need to budget for servers to run the software and no need for heavy in-house IT implementation and support. injixo WFM is LOW RISK: InVision takes care of services packs, backups and maintenance, promising 99.5% uptime. The subscription model means that no capital expenditure is required and the solution is scalable – customers can simply add or remove capacity according to business needs. Release details: Launched in April 2011. Approx. number of UK customers using the product: Already 3 customers in UK, 20+ world-wide and more signing up each month. Brief overview of product: Avaya Aura Contact Center delivers the multimedia collaboration session capabilities required for a context-rich, assisted customer care experience. It supports a variety of media types including voice, email, text (SMS), web chat, instant messaging, social media, and fax. Avaya Aura Contact Center provides a single unified agent desktop interface for handling all types of contacts and can be configured to support multiple contacts simultaneously. The email editor, auto suggest, auto response, web browsing, and context-sensitive handling capabilities, as well as the Offsite Agent solution, which allows for home or remote agents, substantially enhance agent productivity. One area that is particularly different from other solutions is Avaya Aura Contact Center’s open architecture. Others claim to be open but AACC supports full SIP architectures (as well as TDM) with open Web services for integration of other business applications and business processes. The Avaya Aura Agent Desktop also offers many time-saving features such as an email editor, auto word/phrasing suggest, auto response, web push and context-sensitive handling capabilities. 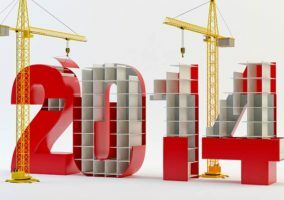 Release details: Avaya Aura Contact Center (AACC) 6.2, which became generally available in July 2011, is the third release of Avaya’s flagship, next generation contact centre product. Typical price for a 100 agent solution: AACC is sold by agent seat licence. Agent licences range between US $1200 – $2200 depending on the functionality required (voice, email, web chat, outbound calling, call recording, self service, etc.). A 100 agent fully featured (voice, email, web chat, outbound, call recording, self service, etc.) contact centre would run to approximately US $180k. These represent list price and does not include discounting. Brief overview of product: intelligentContact (iContact) is a family of multichannel contact centre components which can be combined to provide a solution to an organisation’s specific challenges. iContact combines multimedia contact handling (voice, email, internet and social media), a suite of rich customisable campaign and customer service applications and mobile workforce integration capabilities (iMobile). The contact centre platform incorporates advanced contact handling – PBX/ IP-PBX, ACD, IVR, call recording, scripting and workflow – with extensive reporting tools and applications to support sales campaigns, customer service, booking and help desk projects. The iContact features set is available as a premise deployment or a cloud basis (pay per seat and per features) via mplsystems’ Aurora platform. Rich customer experience applications can be configured rapidly by non-technical end users using a simple drag-and-drop environment. iContact enables businesses to launch social media projects by combing social media monitoring tools, a Facebook customer service portal and social media handling to queue, prioritise and route social media contacts alongside other media types to the most appropriate agents. These tools empower agents to track, respond to and escalate social media queries and comments. The iMobile software set within iContact enables any organisation with field workers to link the mobile devices of these workers seamlessly into the contact agent’s desktop in real time. GPS can be used to pinpoint field staff and CRM and back-office system integration enable a holistic customer service solution to be deployed. iContact incorporates Intelligent Desktop, a powerful web applications tool which enables businesses to easily build or modify their own call handling, campaign and customer service applications. Applications can be created through a drag-and-drop interface, without the need for programming knowledge. Typical customers: Medium to large businesses in a wide variety of verticals with sales, customer service, help desk or booking requirements. Typical price for a 100 agent solution: iContact starts from £50 per agent per month. Brief overview of product: SCC is a complete suite of tools for carriers, enterprises and hosted contact centre providers to manage calls and media sessions end-to-end, without boundary. Our core dialling engine and best-of-breed software components, including agent scripting, reporting, call recording, IVR, and agent coaching, can be deployed in either hosted or on-premise mode, delivering advanced capabilities to subscribers via the web. Unified queue structure allows automated blending between media queues – voice, SMS, chat, social media, etc. Approx. number of UK customers using the product: Mid-market presence through managed hosted providers with a substantial customer base plus + many smaller providers. Presence in the Market Research sector. Products widely OEM’d. Many enterprise end-users/customers. Typical customers: Managed Service Providers, Technology Integrators, Global Technology Providers. Typical User – any enterprise organisation with contact centre activities. Typical price for a 100 agent solution: Not provided. Brief overview of product: A CRM cloud application for customers. The Service Cloud is the platform for modern customer service, featuring everything from “knowledge as a service” to Twitter integration. The pay-offs include more informed agents and customers, plus real-time service conversations. To deliver stellar customer service, you need to connect all the conversations that happen on social networks with the internal knowledge your agents use every day. That way, your customers get answers fast and are happy. And it costs you less. Release details: The Service Cloud comes in three editions to suit any business: professional, enterprise and unlimited. Approx. number of UK customers using the product: Not provided. Typical customers: Customers from any industry are able to improve their customer service operation by using the Service Cloud. The pay-per-user structure and delivery through the cloud also makes it accessible to companies of absolutely any size. Brief overview of product: The Noble Solution suite is a unified customer interaction management solution for today’s advanced enterprise environments. The solution helps organisations control their costs and improve operational efficiencies by providing information management and operational tools to manage blended inbound and outbound communications. The Noble Solution combines an open platform with an integrated relational database, flexible scripting and workflow designers, monitoring and quality assurance features, skills-based routing, IVR and messaging functions, agent, campaign and workforce management tools and real-time reporting to offer a complete end-to-end solution for total control of all customer interactions. Noble’s recent introduction of Mobile Management Tools into the Noble Solution Suite is an innovative feature that allows managers to get away from their desks whilst still having access to all of the real-time statistics and information on agents, lists, campaigns and resources, whether they are walking around the call centre floor or ‘on the go’ and away from the office. Our newly-announced Enterprise Hosted and Messaging EC options offer cloud-based options for Communications as a Service (CaaS), giving users more flexibility for their technology. Brief overview of product: The Cisco Unified Contact Center comes in three models – an Express edition for single sites up to 400 agents, an Enterprise edition for multiple sites up to thousands of agents and a Hosted edition for service providers. Each edition supports inbound and outbound calls, email, Web-chat, video, social media interactions and integration to all the main CRM systems. Cisco SocialMiner – this provides social media monitoring, queuing and workflow to organise customer posts on social media networks such as Twitter. It then delivers them to the social media customer care agents, in the contact centre or elsewhere, and produces reports on them. Cisco Finesse – this is a next-generation desktop which pulls together all the information and systems required by agents and supervisors and houses them in a single browser interface. It is fully customisable and not only simplifies IT, but also improves user productivity. Cisco MediaSense – this enables conversations to be recorded in the network, rather than on a device. The major benefit is that it simplifies the recording of interactions across the whole business and dramatically reduces the cost of workforce optimisation. Release details: The latest release of the Cisco Unified Contact Center is version 8.5. Approx. number of UK customers using the product: There are somewhere between 500 and 1,000 customers using the Cisco Unified Contact Center. Some of these are as small as 5 agents. The largest has over 11,000 agents. Typical customers: Some of Cisco’s contact centre customers in the UK include: Nationwide Building Society, Prudential, Aviva, Carphone Warehouse, Specsavers, Hillingdon Council, Screwfix, Fife Council and John Lewis. Typical price for a 100 agent solution: There is a huge variation in price, depending on what options are selected. A simple inbound-only contact centre could be around £1,000 per agent, but a multisite, multimedia system with integration to a CRM system could be up to £5,000 per agent. Brief overview of product: ContactWorld for Salesforce brings CTI integration into Salesforce CRM, enabling Salesforce customers to run entire contact centres through a single, easy-to-use interface. The solution integrates seamlessly, offering one source of information for all customer communication and unifying access to valuable contact data. All users benefit from a single, easy-to-use interface to manage their calls and view all contacts, accounts, leads, opportunities and cases. Calls can be prioritised and routed accurately, based on the data stored within a business’s Salesforce CRM records, and agents are presented with a link to the caller’s details for a full history of contact with the company. ContactWorld for Salesforce requires no adaptors or APIs to transform how contacts and customers are handled when they interact with an organisation. ContactWorld for Salesforce is a cloud application and can be implemented in days not months, additional users can be added in minutes, and home agents activated instantly, in response to demand fluctuations. Dynamic routing is a unique feature of ContactWorld for Salesforce which intelligently routes incoming calls based on data from within Salesforce CRM. Rather than treating all callers in a queue with the same importance, dynamic routing enables you to decide which calls should be prioritised, based on fields in Salesforce. This ensures that VIP callers are routed to the right agents so they get preferential treatment as required. Release details: ContactWorld for Salesforce is delivered as a service via cloud technology so there’s no need to download and configure software. The NVM development team is constantly reviewing the solution and adding additional features which are released on a regular basis and all upgrades are automatically rolled out to all customers at the same time. Typical customers: Customers range across all sectors. Reference customers include QlikTech and SHL Group. Typical price for a 100 agent solution: Customers pay per agent on a monthly basis and the number of users can be adapted as required. A 100 seat call centre may cost from £4,500 per month. Brief overview of product: The NICE offering enables organizations to capture customer interactions and transactions, analyze them in real-time to reveal business insights, and apply these insights in real time to achieve positive business impact across all communication channels. NICE is the only company to offer real-time speech and desktop analytics, and real-time impact solutions for agent guidance, process optimisation and compliance. NICE IEX Workforce Management solution provides best-in-calls planning and scheduling solutions, including unique multi-skills, multimedia and multi-site capabilities. Typical customers: customers in various verticals: finance, Telco, utilities, public sector, retail, outsourcing and more. CRM/Agent Desktop: an intelligent and structured environment to support agents in their interactions with customers. CTI & Multi-Media: seamlessly linking Agent Desktop to telephony and other media platforms. Dialler: utilising predictive dialling; this module dramatically increases productivity in a compliant and customer-friendly manner. Performance Reporting: provides comprehensive, real-time reporting for managers and through visual wallboards, to agents. QA: a simple and effective way for managers to control the quality of their operation, ensure compliance and improve service. Timesheets: an advanced system to record, report and manage the hours worked and costs associated with the workforce. ICM uniquely combines a range of powerful CRM and contact centre applications and can be deployed as an on-premise, hosted or managed service. ICM is proven in its ability to increase agent productivity and effectiveness and improve contact centre performance. Infinity is so confident that ICM can make a real difference that it is happy to discuss arrangements with clients where either (1) targets are set and payments related to performance against those targets, or (2) where minimum cost savings, or a 20% performance improvement, are guaranteed. Release details: ICM software release 3.7 was released in 2010. Typical customers: Outsourced contact centre operators, telcos, utilities, media companies. Typical price for a 100 agent solution: Purchase price: from £50,000 for 100 agents. Deployed as a service from the Cloud: from £4,000 per month for 100 agents. Brief overview of product: Interactive Intelligence’s Customer Interaction Center (CIC) is an all-in-one software-based application for the contact centre, combining the PBX/ACD communications platform with a wide range of call centre applications. All of the applications are available ‘out of the box’ and it is just a case of buying a licence to turn on the additional capability. The applications include quality monitoring & reporting, IVR, outbound dialling, knowledge management, workforce management (WFM), screen recording, agent scoring and multi-site routing. CIC gives contact centres and enterprises significantly increased scalability and reliability, an enhanced user experience, and improved management insight. Its innovative speech analytics application gives customers an easier-to-deploy and more cost-effective alternative to what’s currently on the market. CIC’s real-time speech analytics application, Interaction Analyzer, provides real-time keyword- and phrase-spotting on either the customer side, agent side, or both sides of a voice conversation. This real-time capability enables contact centre managers to be alerted to problem interactions, then monitor, coach, or intervene to better satisfy customers and improve agent performance. Release details: CIC as a product was introduced to the UK market in 1997, while Version 4.0 was released in July 2011. Approx. number of UK customers using the product: 40 companies with 8,600 seats. Typical customers: HM Customs and Revenue, the London Borough of Brent, Raleigh UK. Typical price for a 100 agent solution: Between £150,000 and £200,000, but that is largely dependent on the configuration of the solution. Brief overview of product: Using click-to-chat and proactive chat invitations, LivePerson enables online businesses to increase conversions and customer satisfaction, and reduce costs. LivePerson allows sales agents to engage website visitors, who demonstrate purchase intent (but are at risk of abandoning), in conversation and guide them through to checkout. It allows customer service agents to identify website visitors who can’t find answers to their questions and provides them with help, thus deflecting costly inbound calls and email and solving problems first time, in real-time. Typical customers: More than 8,500 companies, including Apple, Aviva, Barclaycard, HSBC, Microsoft, MORE TH>N, QVC, Parcel2Go, Royal Bank of Scotland, Sky, and Ted Baker. Brief overview of product: The powerful, proven core of the Genesys software suite, Customer Interaction Management (CIM), is required for the implementation of most Genesys products. CIM automatically captures, routes, manages, integrates, orchestrates and reports on inbound and outbound customer interactions of all types, based on a company’s specific business criteria to guarantee the timely and proper treatment of each individual interaction. Genesys Conversation Manager – provides a true end-to-end multichannel view of the customer conversation over time, consolidating the persistent memory, and ensuring that there is never a disconnected customer experience. Intelligent routing – dynamically prioritises the distribution of any type of interaction including work tasks to the people best suited to handle them, and allows you to integrate resources, contact centre and back-office capabilities, as well as internal business processes. Workforce Optimisation (WFO) – delivers workforce, skills and quality management, and most importantly automates the process for companies to target the right training to the right employee at the right time. End-to-end management information and business analytics. The Genesys Social Media solution – designed to help create the integrated approach you need to convert this social media opportunity into real business benefits, delivering capabilities to prioritise and route a social media interaction just like a voice call. Release details: The latest release of Genesys Contact Centre is version 8, launched in April 2010, and is currently being deployed to customers. Typical customers: Customers range across many industries, including: retail; local government; financial sector; charity organisations; utilities; travel services and service providers. Brief overview of product: Aspect Unified IP is a next-generation unified contact centre platform that unites inbound, outbound, voice portal, internet contact, multichannel self-service and proactive contact capabilities, as well as unified communications (UC) and collaboration functionality. Aspect Unified IP serves as the foundation for many of Aspect’s customer contact applications. Aspect Unified IP leverages advanced unified communications and collaboration capabilities, enabling customers to differentiate their services and fundamentally improve customer experiences. Aspect Unified IP has several unique capabilities including contextual enterprise routing for improved technology and agent resource utilisation to enhance customer experience; and unified command and control for improved administrative efficiency across sites and components and enhanced, real-time decision making. In addition, Aspect’s unique, tight integration with Microsoft Lync, and the use of Lync presence for its ‘Ask an Expert’ feature improves productivity within the contact centre, across the enterprise, and with federated partners by unifying presence with contact centre applications. Typical customers: Financial institutions, utility companies, public sector, airline, health insurance and telco organisations. Typically contact centres with over 50 seats. Typical price for a 100 agent solution: £110K (including software, hardware, support, installation and training). Brief overview of product: MATS is a web-based workflow and communications tool that helps call centres operate more effectively and more efficiently. It reduces stress on staff and delivers cost savings by cutting down on avoidable ‘chaser calls’. Automated progress updates are sent to customers via text, email or personalised web pages, informing them of progress on their enquiry, application or complaint. MATS helps call centres overcome the modern challenge of conflicting demands – to deliver better customer service than competitors and save money at the same time. It achieves this by effectively handling one of the biggest burdens on a call centre’s workload – chaser calls, which are time-consuming, frustrating and expensive, both for businesses and for their customers. MATS is a unique process management system that enables proactive communication (via SMS, email alerts or personalised web pages) to keep customers informed of progress in real-time. MATS has already proven its value within many of the UK’s leading banks, insurance companies and building societies. Clients are often excited by the very noticeable drop in complaints, the increase in productive capacity and the improvement in staff morale. Because MATS is a web-based managed service, it gets up and running quickly and cost-effectively without any long and expensive IT integration. It is also very flexible, with continuous scope for expansion into new business areas. Typical results: avoidable chaser calls down 65%, customer complaints down 90%, processing efficiency up by 30%, and full ROI within first year. Happier staff, happier customers and happier managers. MATS is one of those rare products that fulfils its promise and delivers a win-win solution. Release details: Developed and refined in conjunction with blue-chip clients over several years, MATS was launched more widely to the market during 2011. Typical customers: Nationwide, RBS, Santander, finance sector, call centre operations. Brief overview of product: Nexidia’s Enterprise Speech Intelligence (ESI) product suite is a powerful, scalable speech analytics solution that enables customers to quickly extract deep and meaningful business intelligence directly from recorded audio assets. Having garnered a host of awards, ESI leads the field in both capabilities and product innovation. The latest – 2011 Speech Analytics Market Leader Award – from Speech Technology Magazine, recognises customer satisfaction, depth of functionality, search accuracy and value for money as Nexidia’s key market differentiators. Whilst Nexidia provides real-time capability – supporting hundreds of concurrent channels by running directly off the switch before the call gets to the agent, giving real-time, voice driven screen alerts – its focus is on providing deep analysis of massive volumes of audio to bring out relevant commercial findings. Nexidia uses its own patented technologies to provide customer interaction analytics to enable companies to capture, make sense of, and use the full range of communications they have with customers including surveys, chats and social media. Release details: The 2011 product suite makes it easier for customers to apply speech analytics for all areas of workforce optimisation including quality, performance management, compliance and business improvement. This year Nexidia also launched Managed Analytics Services, a go-to-market strategy that saves customers time and money by addressing 12 key contact centre challenges with analysis that provides insight into business process and agent behaviours on calls. Typical customers: UK clients include: Barclays, Argos, Dixons, HMRC, Ofcom, Ventura and Apex. Brief overview of product: Impact 360 Customer Feedback helps solicit valuable input from customers. A browser-based solution, Impact 360 Customer Feedback uses short, context-sensitive, dynamic customer surveys to capture data on products, processes, staff performance, and customer loyalty and satisfaction levels. Impact 360 Customer Feedback integrates with the broader Verint Impact 360 Workforce Optimisation solutions, back-office and contact centre software, and CRM systems. It engages customers immediately after their interactions with agents over IVR, Web, and email with short, dynamic customer surveys that are delivered based on business rules the organisation defines. Impact 360 Customer Feedback is part of Verint’s Voice of the Customer Analytics platform, which analyses both unsolicited customer feedback, from calls, emails, chat and social media, as well as solicited feedback gathered from IVR and web-based surveys. Impact 360 Speech Analytics is integrated with Customer Feedback to automatically analyse and categorise free comments and verbatim that customers leave. On top of structured questions, organisations find great value in analysing the free comments that contain ideas and sentiments that can help shape new products and services, as well as respond quickly to specific customer issues. As part of the Impact 360 Workforce Optimisation Suite, data from Customer Feedback can be leveraged by Impact 360 Performance Management Scorecards. Organisations are able to define KPIs based on customer feedback by different levels of the organisations. Typical customers: British Gas, Leeds City Council. Typical price for a 100 agent solution: For budgetary purposes for a 100 seat solution you should consider a figure of approximately £35,000. Brief overview of product: Widely regarded as the industry’s most accurate, easy-to-use and affordable workforce management solution, the GMT Planet suite is in use at a number of leading contact centres, retail banks, back offices and distribution centres throughout the United States, United Kingdom, South Africa, Australia and New Zealand to accurately forecast workload and intelligently schedule resources. GMT Planet is designed to accelerate rapid acceptance by front-line users throughout the enterprise. It is also highly configurable to the specific requirements of each client, ensuring accurate scheduling and significantly reducing ongoing operating costs. The latest release of GMT Planet includes significant enhancements and performance improvements that will drive productivity improvements and reshape enterprise business processes. Specifically, this latest version of GMT Planet is highly configurable to the specific requirements of each client, ensuring accurate scheduling and significantly reducing ongoing operating costs. Typical customers: UK Public Sector including 7 police forces; UK Private Sector including major players inc. high-street banks, retail, transportation and SMEs including travel and tourism, mail order, etc. Typical price for a 100 agent solution: Varies depending on type of solution (on-premise vs hosted) and customers’ needs. Brief overview of product: A premium telephony headset that offers outstanding audio quality, great comfort and superb usability, all wrapped up in a great design. There are two key features of the headset that are both innovative and beneficial to customers. The first is the amount of freedom one has when adjusting the headset – there are no fewer than seven different adjustments possible on the headset, ensuring a perfect comfortable fit on any head. The second is the extendable microphone boom – this ensures that the microphone can be placed in the ideal position for voice quality. The combination of these two features ensures that the EncorePro provides the best possible combination of voice quality and comfort of any professional telephony headset. Approx. number of UK customers using the product: As the number one in headset solutions for the contact centre, the number of customers using EncorePro is significant. Typical customers: Call centres, large offices and increasingly UC deployments. Typical price for a 100 agent solution: Price on application. Congratulations to all the winners and thanks also to Martin Hill-Wilson who independently validated the results. 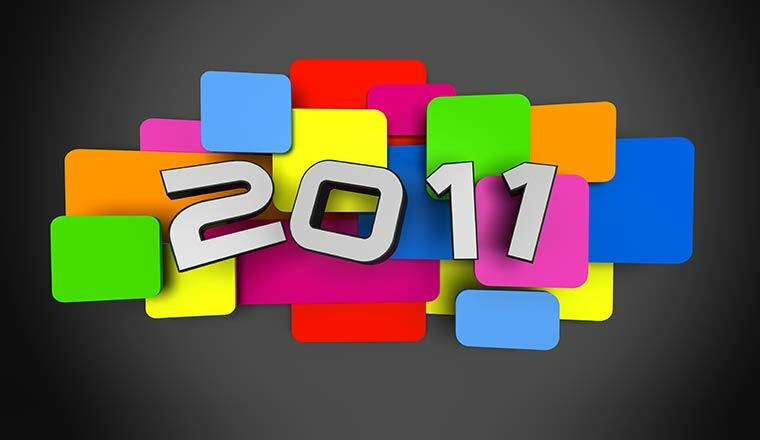 How do we get into our company into the 2012 voting poll? Are there location based categories or is it world wide only? The contact centre technology is nominated and voted on by our readers to try and make it as impartial as possible. We normally run this towards the end of the year so keep an eye out for when the nomination process opens.